Now you can design Barbie's outfits with this D.I.Y. Watercolor Style Set! 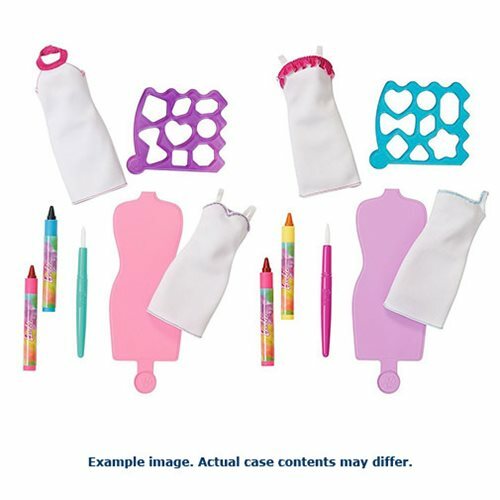 This set allows you design your own dress for Barbie using a stencil and 2 watercolor crayons. Each dress is reversible so you let your creativity shine in more ways than one! When you want a new look, wash the dress and start again. Never stop creating with this Barbie D.I.Y. Watercolor Style Set Case! Ages 5 and up. This Barbie D.I.Y. Watercolor Style Set Case contains 6 individually packaged dolls.